Is Soy Right for Me? Cheap, convenient, and readily available, soy products have been growing in popularity in recent years as a safe way to treat menopausal symptoms. But before you switch over to an all-soy diet, it is important to know the side effects of the overconsumption of soy. 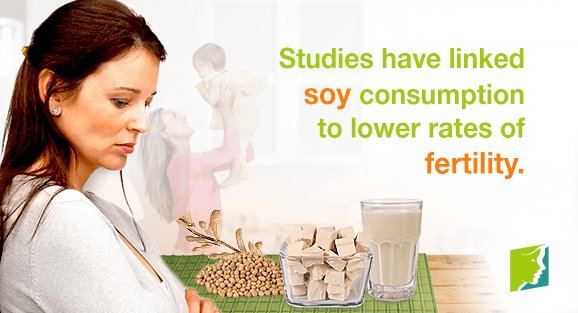 Keep reading to learn more about the risks of using soy to treat menopause symptoms. How Does Soy Treat Menopause? Soy contains estrogen-like properties, making it suited to treating the effects of hormonal imbalance in menopausal women. Since the risks of hormone replacement therapy (HRT) became apparent over the last decade, many women turned to soy products for natural relief from their menopause symptoms. Despite its popularity, however, the benefits of using soy as a menopause treatment have not been scientifically verified. Phytoestrogens, the plant compound responsible for soy's estrogenic properties, are still largely a mystery to the scientific community. Further research is needed to establish its effect on the human body, and whether or not it can help replace declining estrogen levels during menopause. What Are the Side Effects of Using Soy for Menopause? Infertility. Studies have been inconclusive to date, but some research has linked soy consumption to lower rates of fertility. Possible links to breast cancer. While soy is thought to decrease the risk of breast cancer in premenopausal women, its estrogenic properties may actually increase breast cancer when taking for long time. Thyroid disease. Some studies have linked high soy consumption to increased rates of thyroid disease. Soy is integral to many cuisines around the world, so avoiding it entirely is almost impossible. That said, before you commit to a diet high in soy, it is important to understand the above side effects. If, despite your best efforts, menopause symptoms are persistent, talk to your doctor about your options for relief from menopause symptoms. Lifestyle changes like improved diet and exercise are often enough to ease menopausal symptoms, but sometimes prescription medications are needed. Your medical professional will be able to guide you to choose the appropriate option. Click on the following link to learn more about how to manage menopausal symptoms.